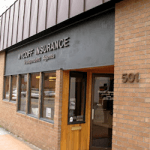 Wycoff is a locally owned insurance agency and has been doing business in Mt. Vernon since 1972. Wycoff Insurance works to maintain a high level or repect within the insurance industry and within our local community. The professional staff of twelve strives to offer insurance coverage and advice tailored to keeping the client’s best interests at heart. When Wycoff accepts the opportunity to handle a client’s insurance needs, it is with the sense of accepting a trust. If you’re looking for insurance services in Mt. Vernon or anywhere in Washington, know that Wycoff Insurance will treat you with respect and offer you many different options for your insurance needs. Call or stop in today. We appreciate and look forward to the opportunity to work with you! Not all insurance agents are the same; in fact, choosing the right one can make a big difference – in price, service, and value. For instance, when you’re searching for “car insurance Mount Vernon”, you have many choices! However, only one agency, Wycoff Insurance, provides you with so many choices for car insurance in Mount Vernon and all of your other needs such as home insurance, business insurance, health insurance and more! As an independent agent, Wycoff Insurance represents many great companies, not just one like some others. Wycoff Insurance is fully committed to you and your family. At Wycoff Insurance you can be sure we are on your side. The reasons to have an independent agent are numerous!